Yemen is on the brink of famine, and in the coming months thousands are expected to die due to a lack of food and medicine. So far an estimated 3 million people have been forced to flee, thousands have been killed, and a major cholera epidemic struck the country last year. Back in 2004, government forces in Yemen were in conflict with members of the Shia-Islam Ansar Allah group, and in 2014, the group took control of the capital, Sana’a. A Saudi-led Arab Coalition, which includes the UAE and is backed by the US and some other western countries, then went to war against Ansar Alla. In a press release, the Arab Coalition confirmed, at the request of the legitimate Yemeni government and in compliance with UN Security Council resolutions, it was presently attempting to liberate Hodeidah, Yemen’s largest port, and the gateway to the country for aid supplies. 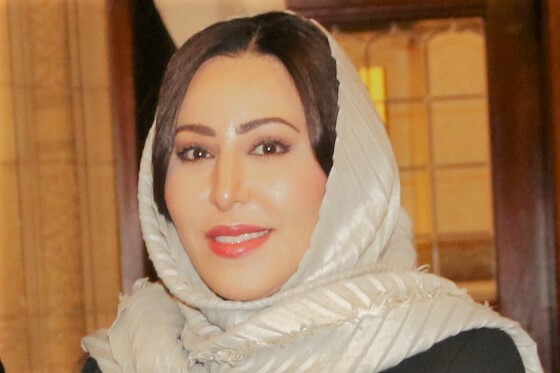 UAE’s ambassador to Denmark, Fatima Khamis Al Mazrouei, emphasises that the Arab Coalition is committed to working with the international community to ensure the port’s liberation will have an immediate impact on increasing the volume of humanitarian aid. “My government has already begun a substantial aid campaign,” said the ambassador. Last year, the UN and its humanitarian partners managed to deliver aid to 10 million people in Yemen, and Denmark sent 219 million kroner to the crisis in 2017. 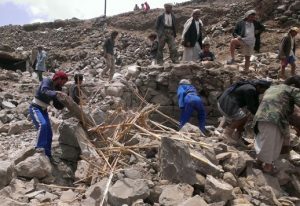 In April this year, Denmark’s development minister, Ulla Tørnæs, announced a 70 million kroner aid package to help alleviate the ongoing humanitarian crisis in Yemen. The coalition states it has felt obliged to pursue a military solution in order to protect innocent civilians and ensure a safe passage for aid shipments. It is also emphasised that contingency plans are in place for any expected damage to the infrastructure of Hodeidah’s port and airport. Thus far, it has not been possible to implement a UN peace plan because the parties have been unwilling to agree to all the terms. Weapons, the demilitarisation of cities and a common assembly government are the most important points in the UN’s draft peace agreement. The militia groups holding Hodeidah have also refused the UN envoy’s requests to hand over the port. It is hoped that capturing the port will tip the scales in favour of a political solution and reignite the stalled UN talks.